Presently lives in Essex, Connecticut and is a UCONN alumnus. He was born in Boston and raised in the greater Boston area. Fred has been with Dainty Rubbish for over 15 years as an Operations Manager/ Sales Manager and directly works with Michael Armetta the President of the company to handle the marketing and daily operations of the business. His career history includes over 28 years of management experience in the service industry throughout the New York and New England area. Previous employment consist of 13 years experience working as a General Manager for a Fortune 500 Corporation with responsibilities for Marketing/Sales, Service, Accounting and Profitability. Through his management skills, his Office was recognized as one of the top Branch Office nationwide for three times and once achieved Chairman’s Club status. 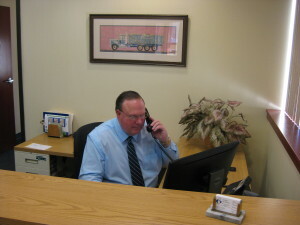 Fred is always available to help you choose the right waste disposal solution for your needs or project.